Pregnancy is a bag of mixed emotions. When I recall seeing the plus sign on the stick, I was elated and then it dawned on me that our lives will be changed forever and then set in the anxiety as well. Joy, Anxiety, Excitement, Worry , Anticipation – you see the pattern. This is not to mention the physical changes happening at the same time, many of which are quite difficult to handle. The good thing is that “There is an oil for that”…. Sleep: The more sleep you can get in the first trimester, the better. Often, we women don’t have the luxury of getting sleep when you most need it. If you have a toddler or an older child, then it is definitely out of question. 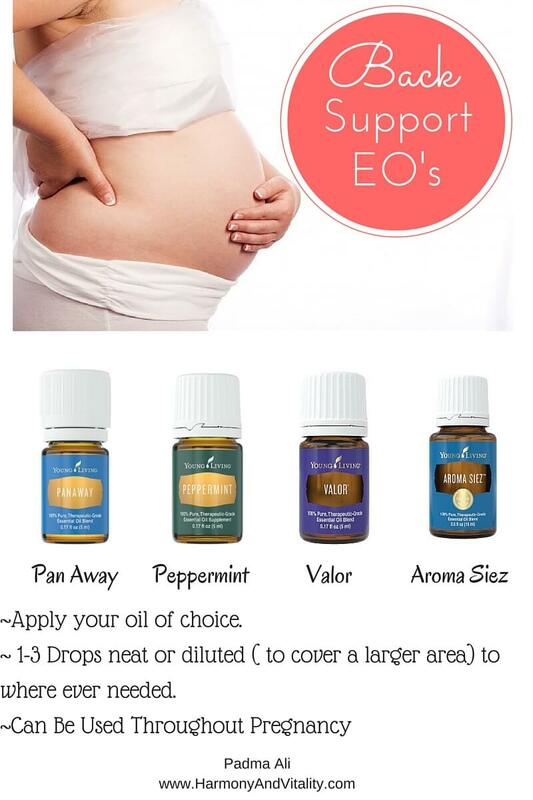 For those times, EO’s like Peppermint or Lemon can help with that. Just taking a whiff from the bottle or diffusing can help increase alertness and focus when you need it. Applying Peppermint EO on your shoulders can be very refreshing and invigorating. 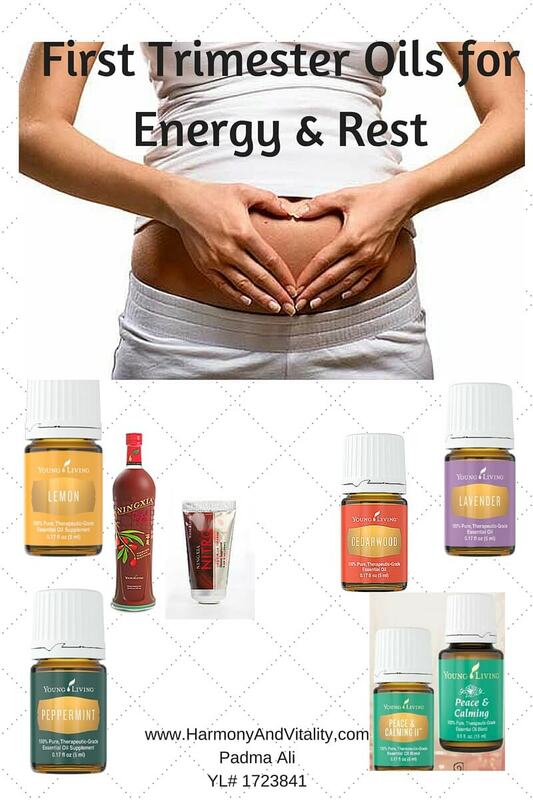 En-er-gy Blend applied to the kidney area – behind the ribcage on the back can really help with getting the energy level up. Another great energy aid is NingXia Red. Having an ounce or two in the morning will not only help you get through the day but also get you all the nutrients and antioxidants needed to support you and the precious being growing inside you. Sometimes, during pregnancy, even when you are able to sleep, getting a restful sleep is often difficult. Oils like Lavender, Cedarwood, Peace & Calming I or II can all be helpful. Apply a drop of any of your favorites or two on the bottom of the foot every night before bed. Diffusing one of these can also aid in sleep. The reality is not everything about pregnancy is fun and beginning can be especially challenging as there is so much going on a physiological level. Adding Ginger, Lemon or CitrusFresh EO to your water everyday or taken in a capsule can ease the discomfort. Diffusing Aroma Ease can also help when you don’t feel that good. Ningxia Red taken everyday can be very helpful. Back Support: This list can be used throughout pregnancy. You can apply Valor, Peppermint, PanAway or Aroma Siez neat or diluted to the area of discomfort. 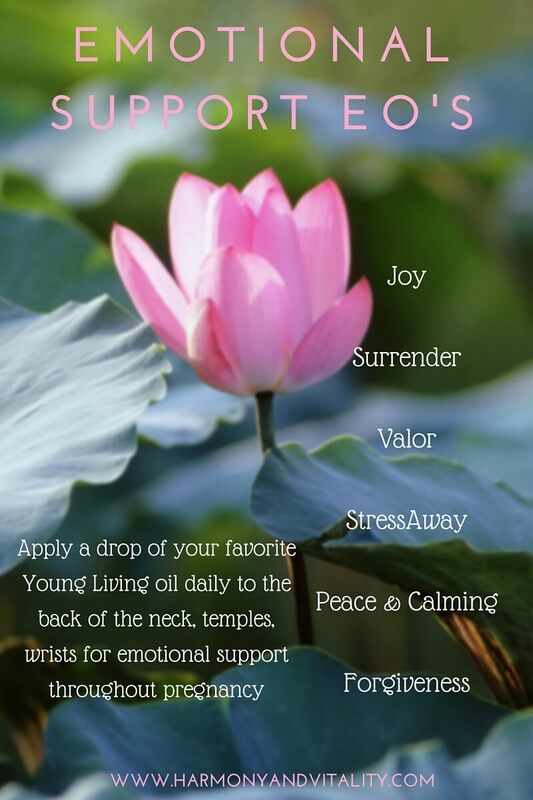 Joy, Valor, StressAway, Peace & Calming, Surrender and Forgiveness. 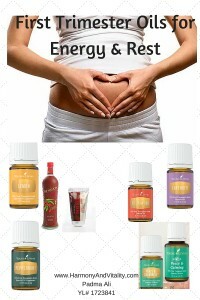 These can be used throughout pregnancy and even during labor.